According to the People’s Daily, the official newspaper of the Communist Party of China, Xi will be in the United Arab Emirates (UAE), Senegal, Rwanda, and South Africa from July 19 to 24 and will attend the tenth annual BRICS summit in Johannesburg from July 25 to 27. BRICS is an alternative coalition featuring the leadership of Brazil, Russia, India, China, and South Africa. “The upcoming visit covers a wide area of the African continent, showing that China treasures its traditional friendship with Africa,” Xi reportedly said. 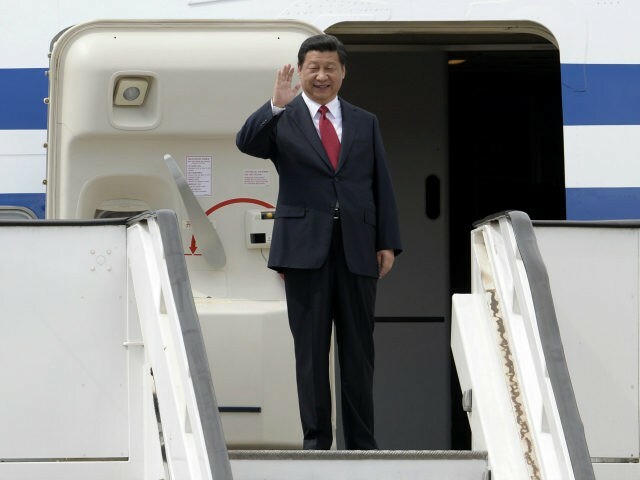 The People’s Daily noted that Xi will also pay a “friendly visit” to Mauritius before he heads home to China. Chinese officials have visited Africa several times during the past few months. Xi’s political adviser, Wang Yang, reportedly visited the Republic of Congo, Uganda, and Kenya in June and the president’s top legislator, Li Zhanshu, visited Ethiopia, Mozambique, and Namibia in May. Upon the invitations of Khalifa bin Zayed Al Nahyan, president of the United Arab Emirates, Macky Sall, president of Senegal, Paul Kagame, president of Rwanda, and Cyril Ramaphosa, president of South Africa, President Xi will be traveling to the four countries, from [July] 19 to 24 on a state visit. Although China has been investing in Africa for decades, as far back as the 1960s, it was three years ago that China and Africa took their business relationship to a new level with the establishment of the comprehensive strategic partnership during the Johannesburg Summit of the Forum on China-Africa Cooperation. China is now Africa’s largest trading partner and, as of 2015, reportedly owns $94 billion of sub-Saharan Africa’s debt. Almost immediately following his rise to rule the country, Xi made the colonization of African countries a priority during his first overseas trip as the nation’s top elected official.